Recent polling commissioned by Research!America shows nearly half of the American public does not believe we are making enough progress in medical research in the US; the government shutdown proves them right. The shutdown shows where the real deficit is: in the failure of elected officials to take action to fund American priorities. The deficit seems to be a deficit of common sense! 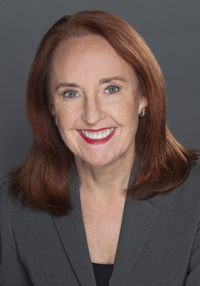 It's inconceivable that our nation's research ecosystem, the catalyst for addressing current and emerging health threats, is being hamstrung by the inability of our elected officials to reach a budget agreement and end indiscriminate, across-the-board budget cuts. 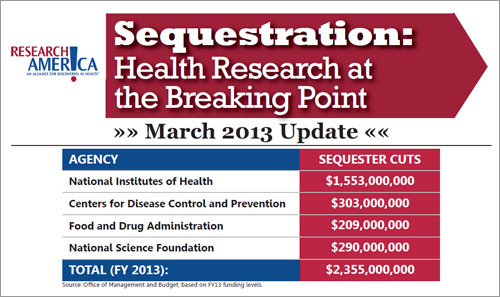 Sequestration Fact Sheet, Elsevier Connect, March 20, 2013.